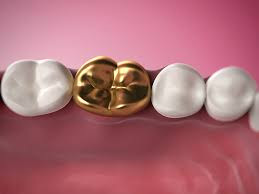 His week we’ve been examining a dream about a gold crown on a tooth. In the dream, the crown came loose. In order to discover more about these themes, we needed to hear the dreamer’s own comments. Dreams are about the dreamer, and only he can accurately decipher the message. After we worked on this dream I got really quiet for a while. I was pretty sure I knew what the dream was about, right from the start. But it was the details that made me thoughtful. I mean, that whole bit about the crown. I couldn’t believe I said those things to describe it—that stuff about kings and royalty. I mean, we’re talking about a tooth for gosh sake. All that stuff about cleaning out places in me that are hidden; that makes perfect sense. I tend to live life from a metaphysical perspective. I do lots of spiritual work on myself, and anyone who lives life in this way knows how much time is spent correcting and honing as we grow. But the part about the gold crown is especially interesting. The gold crown was removed, but then put right back in the same spot. That seemed to be saying that I was going to have my authority taken away in regard to something; I wasn’t going to be “the king.” But my removal wasn’t going to be permanent. The gold crown was going right back where it had been. It would be put back where it could help me “chew” on the things that I ponder in life. So the shift I had to make was small. Like the dream said, there was no urgency, only a sense of peace. But the shift is also profound. It’s about letting go of ego and not trying to identify myself as an important person who does something well. I need to just be. That’s when the crown will help me chew the best. I love it!